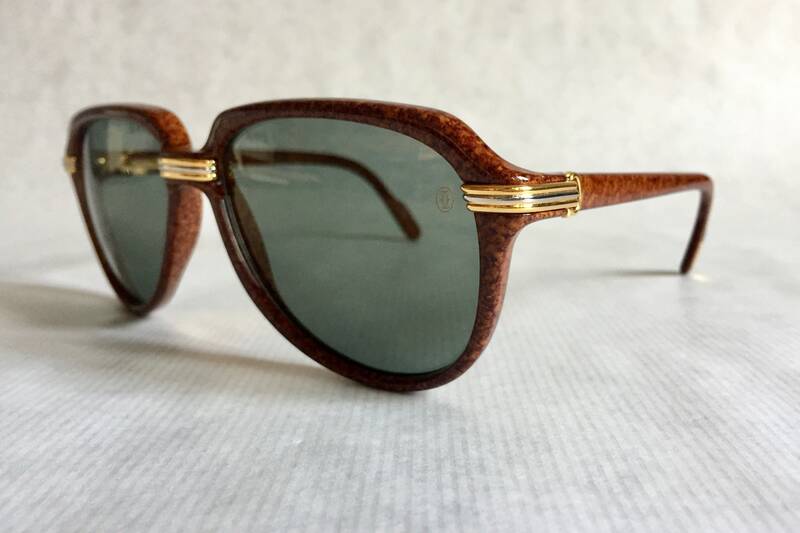 New Old Stock, never worn, frame and lenses in perfect condition. 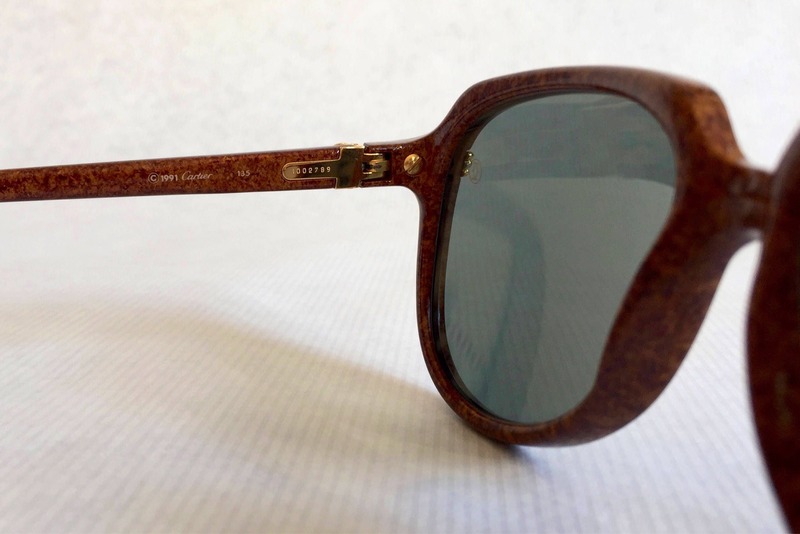 Made in France in 1991. 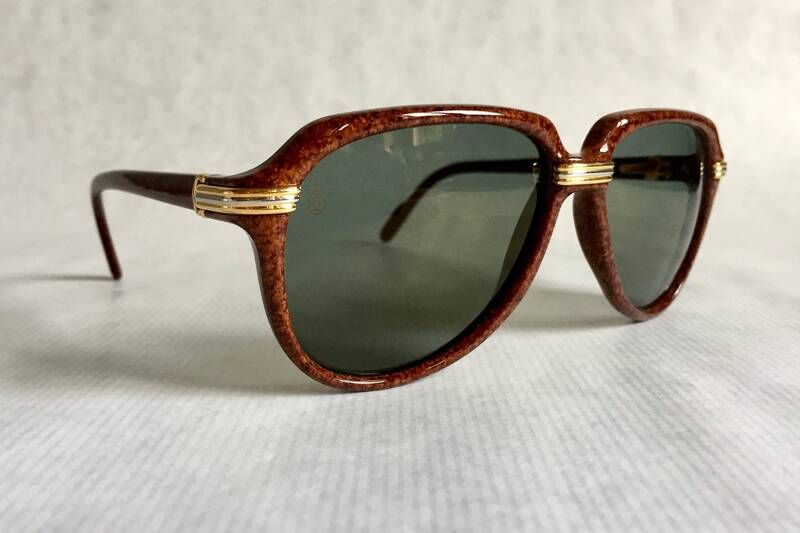 The Holy Grail of vintage eyewear. 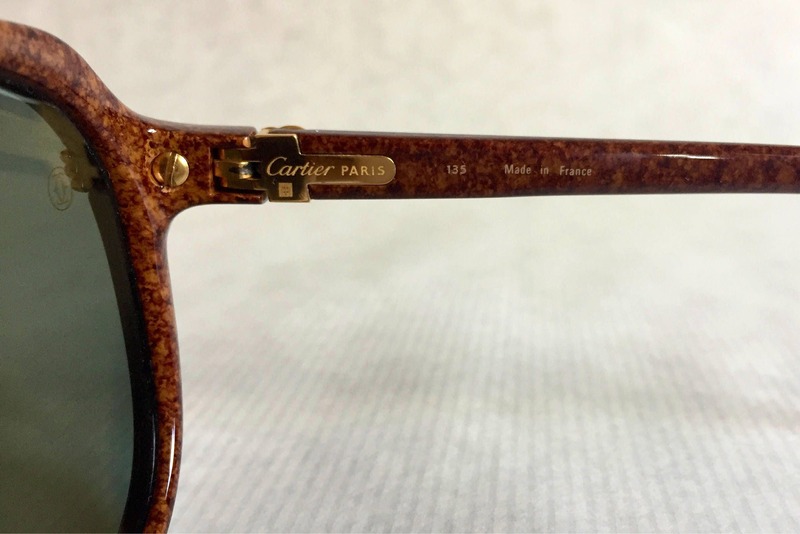 The most beautiful frame ever produced by Cartier, and surely one of the most coveted frames in eyewear history. Incredibly pleasant to wear. 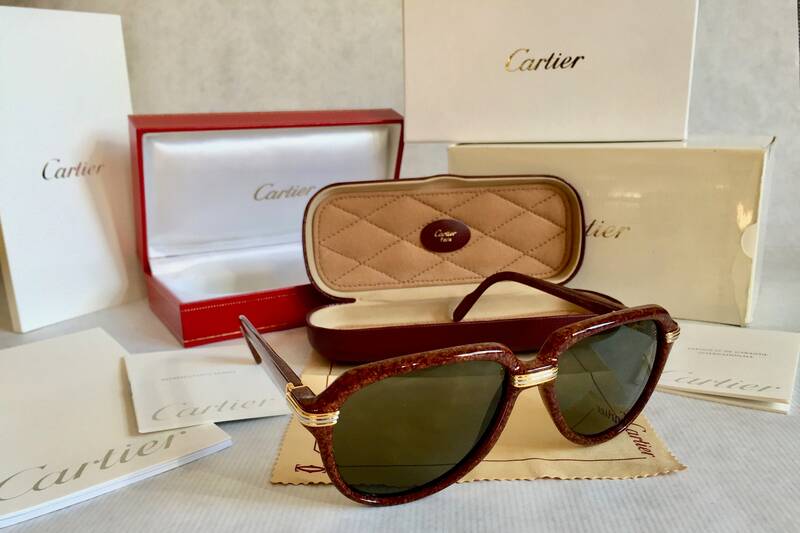 Manufactured with minute precision in Cartier's own workshop near Paris in 1991, in collaboration with the best eyewear craftsmen from Morez in the French region of Jura. 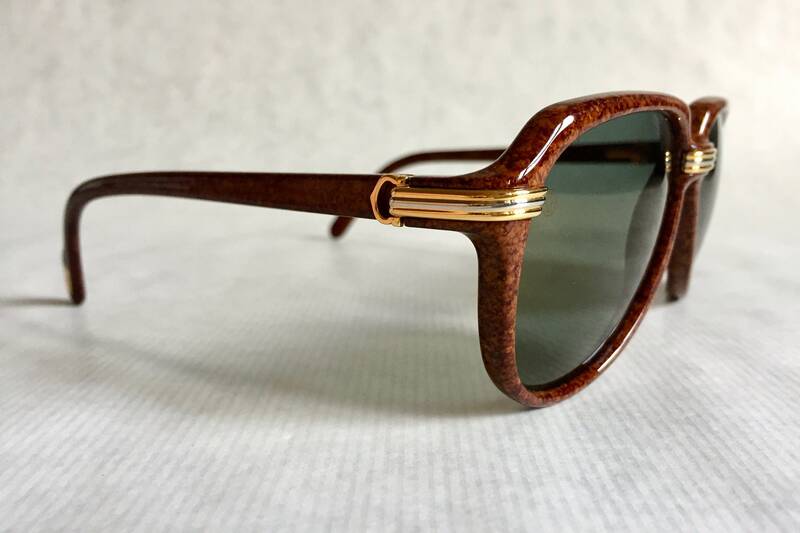 18k gold plated and platinum details combined with an incredibly elegant brown marble carbon frame. Flexible hinges, a perfect architecure and geometry. 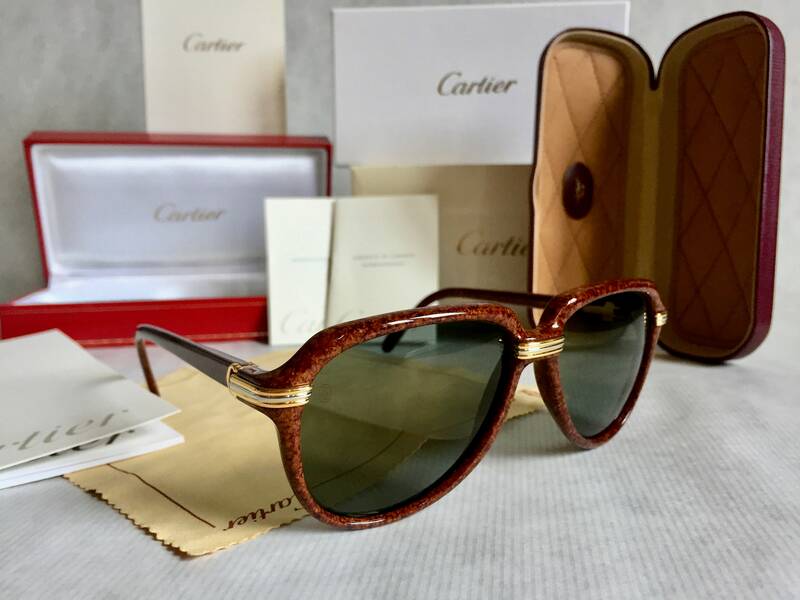 Original Vitesse lenses with 100% UV protection, Cartier watermark on both lenses and extra filter for more visibility and protection on the inner lens radius (only visible when there is condensation on the lens). 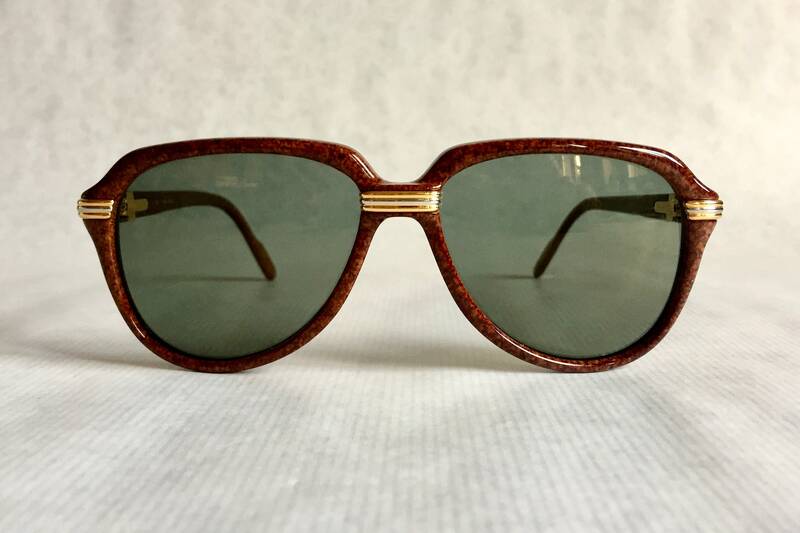 As worn by Kanye West, Bruno Mars, Big Boi (Outkast), 2 Chainz, Big Sean, Whiz Khalifa and many others. 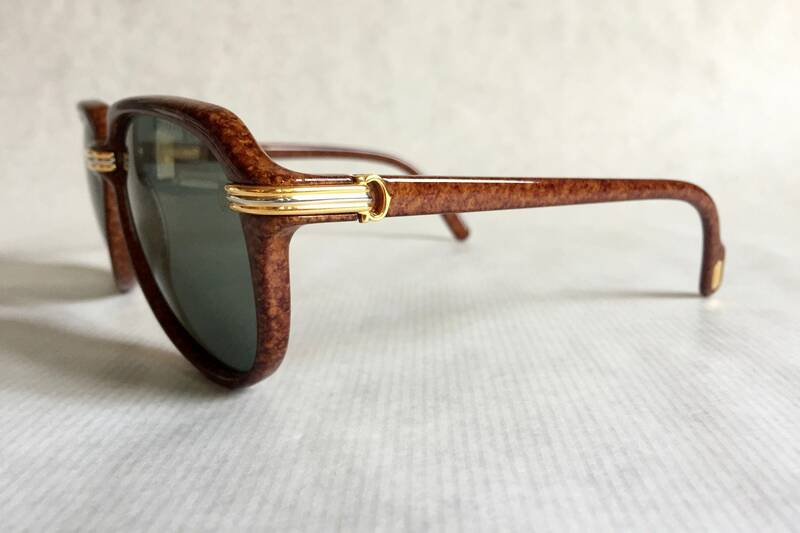 - Vitesse frame with 18k gold and platinum details, unique serial number. 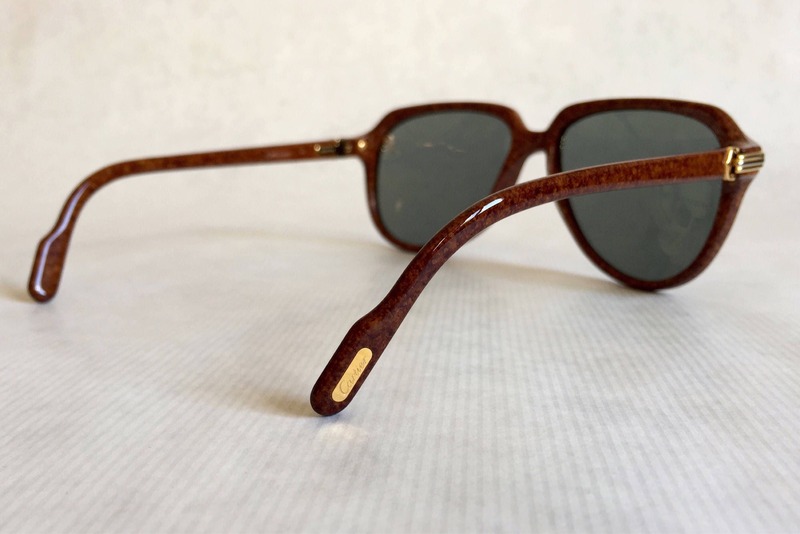 - Original Vitesse lenses with 100% UV protection. - Geniune leather hardcase with padded cushion.